Starting near the coast in the ironically named village of La Guapa (The Pretty One). Ironic as the village is far from pretty, but don't let that put you off as you climb the view improves a lot (apologies to any of the residents of La Guapa that may read this). This route up to Haza del Lino is an unforgiving one, averaging a gradient of 7% for almost 17km. The first couple of kilometers are quite steep, but as you leave The Pretty One behind the gradient eases and the views improve. 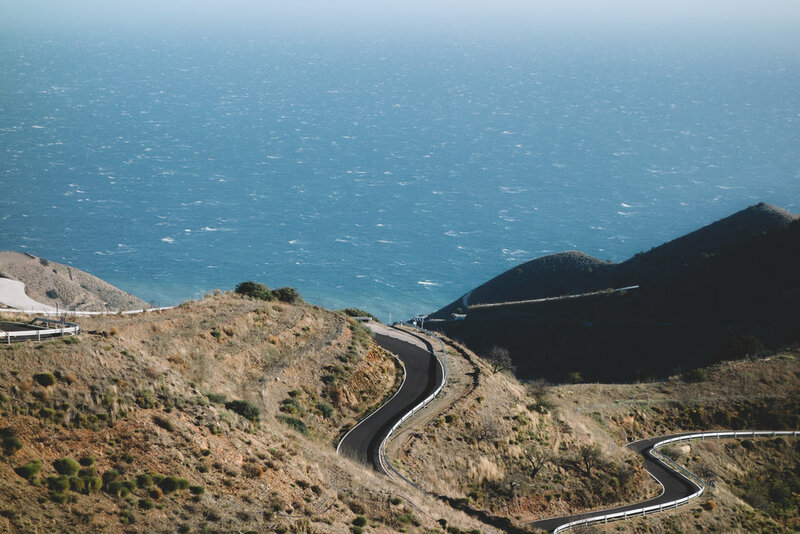 While the gradients are indeed hard on the legs, the recently resurfaced road is sure to help the rider as they cycle along the ridge of the mountain, with stunning, unobscured views onto the Alboran Sea another positive to this difficult climb. Beautiful switchbacks keep you company as you continue your ascent to the village of Polopos which sits at 10.5 km. 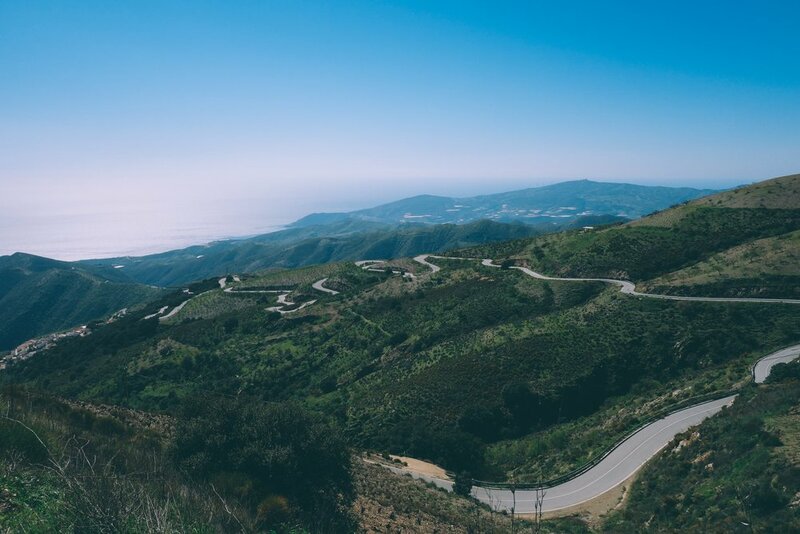 The climb is southfacing and coastal, so it can be ridden all year round. For the first half of the climb, once you leave the greenhouses behind, there's little in the way to obscure one's view of the sea, at times it feels like you can reach out to the sea. Polopos is a beautiful village perched on the slopes of the mountain, sitting at 6 km before the end of the climb. If you need to stop there's a small cafe at the side of the road as you enter the village and there's also a fountain in the centre of the village where you can refill your bottles. The artistic and historic heritage of this village cannot go unmentioned. It is the site of two 16th century Arabic fortifications, which were reconstructed in the 18th century. 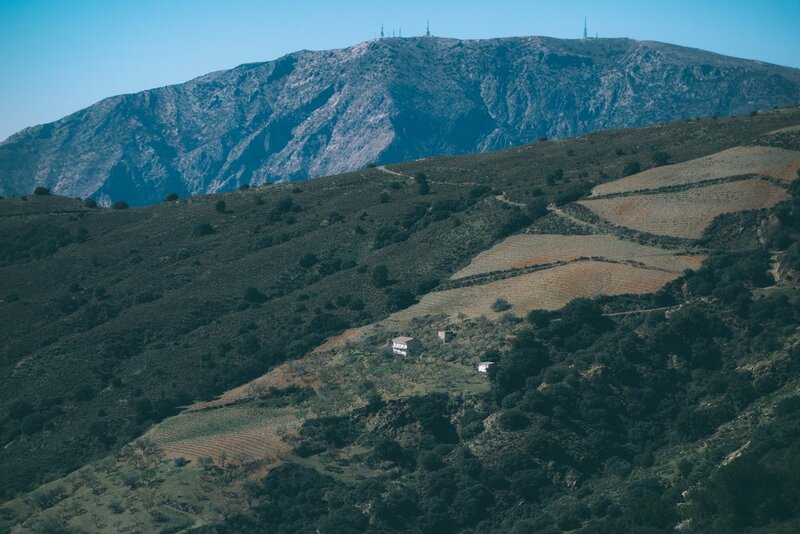 Famous also for its wine (a wine museum sits in the village), your departing this village for the final leg of the climb brings with it new scenery as vines and pink blossomed almond trees take over. Once you reach the junction at kilometer 13.5, turn left for the last three scenic kilometers up to the top, where Restaurante Haza del Lino awaits the weary cyclist,with chairs out front in the sun, and a good selection of coffees and food to help you recover some energy before you make your way back down the Sierra de la Contraviesa.